It’s January and we’re all trying to eat a little healthier, while it’s easy enough to force yourself to eat your greens, mini picky eaters are a little harder to convince. 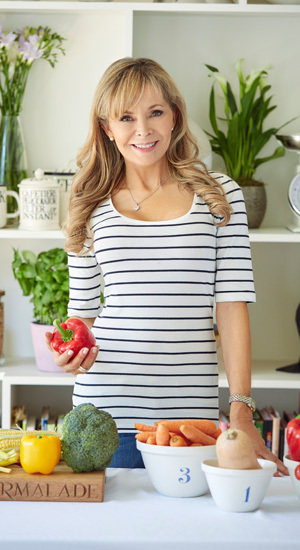 We spent 10 minutes with Children’s healthy eating guru, Annabel Karmel, to ask her top tips on getting fussy eaters to enjoy healthy meals and stop craving those not-so-healthy treats. Q: Why do you think many children eat unhealthily in modern life? 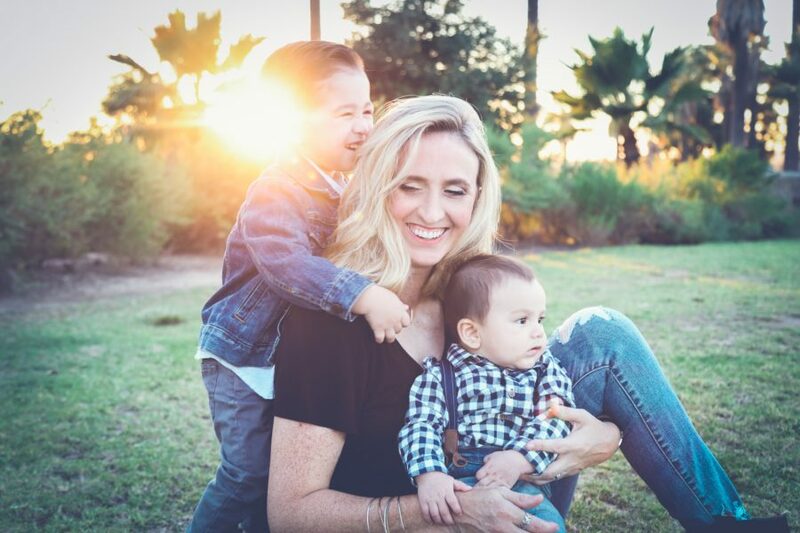 A: As parents, we try to do our best, but sometimes hectic schedules and busy weeks get in the way of us being able to wear that ‘super parent’ cape every day. It’s tough dutifully serving up healthy home cooked meals for the whole family. Often, we are oblivious to the high levels of salt and sugar in meals when shopping for quick and easy options. And in fact, that was the reason I decided to launch a range of nutritionally balanced toddler meals into supermarkets over a decade ago. 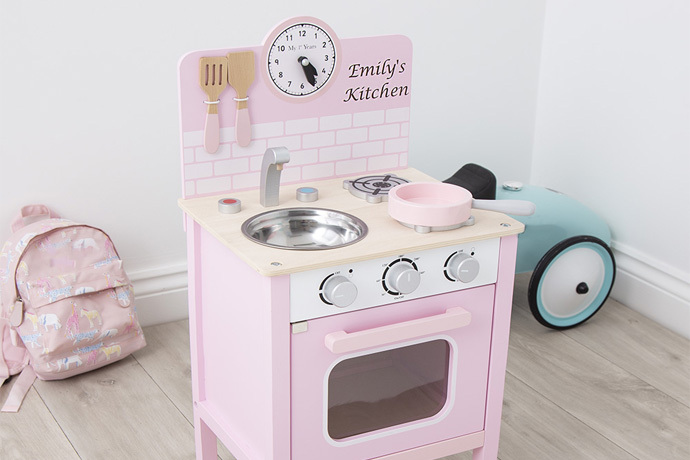 Busy days still deserve the best mealtimes, so my Chilled Toddler Meal range provides parents with a guilt-free selection of recipes based on my popular cookbooks. They are low in salt, free from additives and preservatives, and count towards up to three of their 5-a-day. My meals have been such a hit that I have just extended my recipes into the freezer aisle with balanced kids meals such as Chicken Tikka Masala and Tasty Beef Cottage Pie. I’m not a fan of bland, tasteless food. It’s so important to introduce a variety of flavours into a child’s diet from an early age to ensure a healthy relationship with food. And I believe that is the job of everyone around a child – not just the parent; nurseries, schools, breakfast clubs and wider family are responsible. For instance, I work with nursery chain Fennies to provide healthy menu options for children to ensure they are fuelled with the right foods. Fussiness is also a big issue for lots of parents; it’s often easier to give into a child’s demands than battle a whopper of a toddler tantrum. My advice is to try and introduce tasty, healthy alternatives early on. For example, it’s no secret that children love chips so why not try baking sweet potato wedges and sprinkling with Parmesan instead? They are naturally sweet and baking them in the oven caramelises the natural flavour – kids will love this nutritious snack. Q: What advice do you have for getting fussy eaters to eat more vegetables and healthy foods? A: I know how frustrating it can get when your child refuses to eat something, especially if you have spent so much time preparing the food for them. If children won’t eat vegetables, create recipes that vegetables can be blended into such as a tomato and vegetable sauce for pasta or mashed potato with carrots. 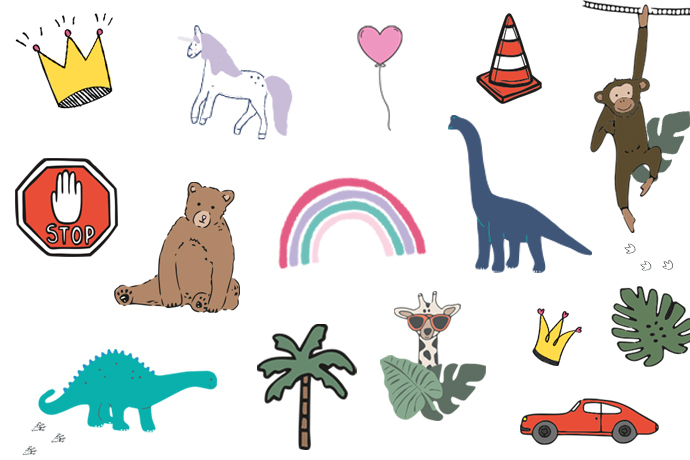 What children can’t see, they can’t pick out! 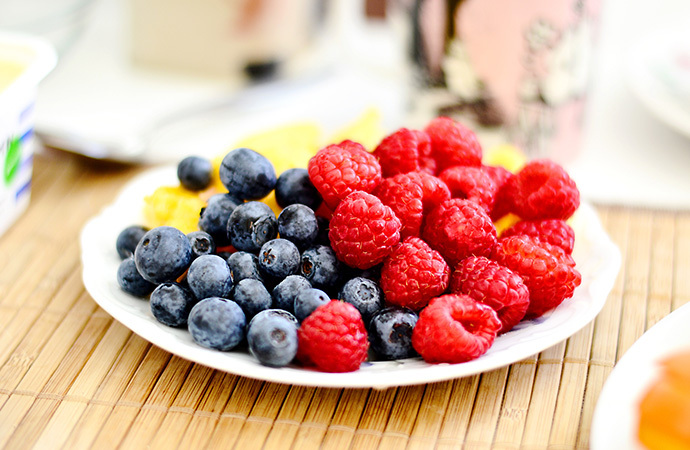 It’s also sometimes about preparing foods in different ways. For example, most kids I know wouldn’t eat boiled cauliflower, but roasting it is a whole different ball game. Children also often like to eat with their fingers so serve vegetables like whole corn on the cob with melted butter, baked potato wedges or carrot and cucumber sticks. For dessert, it’s easy to make fresh fruit ice lollies from fruit juice and pureed fruits or thread bite sized pieces of fruit onto a straw. It can be a tricky one but it’s important to introduce as many veggies as possible at an early age. I think the best thing is to be upfront about fruit and vegetables, tell them where they come from and why they are so good for you. Giving them facts could make them more interested in what they are eating. Discover Annabel’s nutritionally balanced Chilled Toddler Meals in the chilled food aisles at Tesco, Sainsbury’s and Ocado. 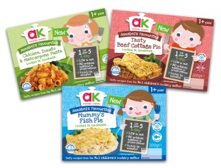 Now you can also find Annabel’s Favourites frozen meals for children in the freezer aisles at Tesco, Morrisons and Iceland – The perfect solutions for those busy days! 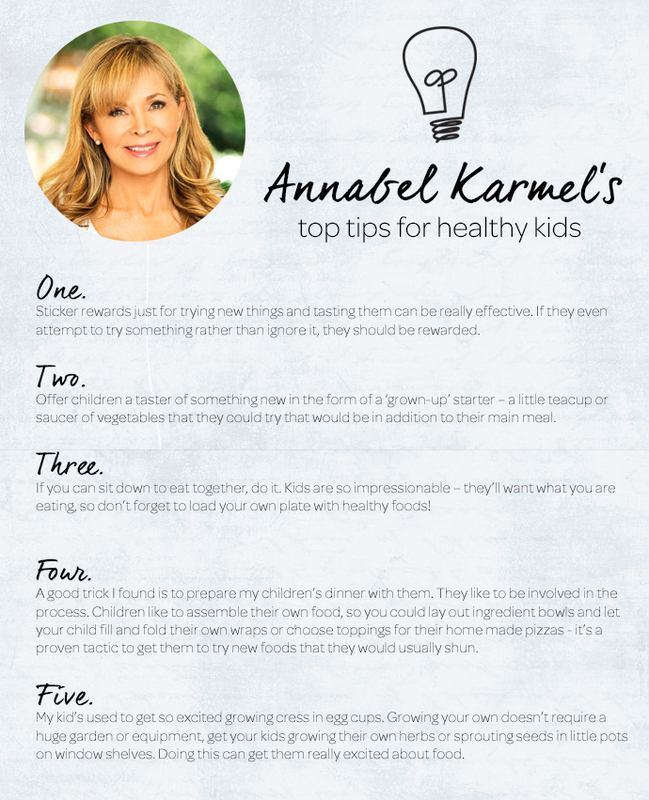 And for lots more recipe inspiration, visit www.annabelkarmel.com and why not join the AK Club for lots more tasty benefits?